A book is a footprint in time, a ship you send off into the night, not knowing what will happen. 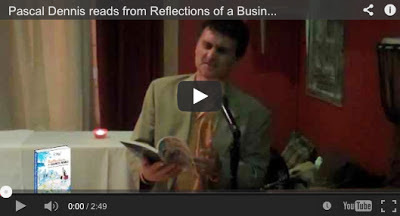 Last October we launched my latest book, Reflections of a Business Nomad - Stories & Poems from the Road. The setting was Avli Restaurant in the heart of Toronto's Greektown. Here's a short video from that fine night, a reading by yours truly of the book's opening piece, "Meeting Buzz Aldrin in Fort Worth". Thanks to all our friends who turned out!